Tap water can be a great source of drinking water if it’s contaminant-free. Although municipal water is treated and tested at the source, some contaminants will still find their way into your tap water. Luckily, most tap water contaminants are not dangerous, however, some can be a health hazard. 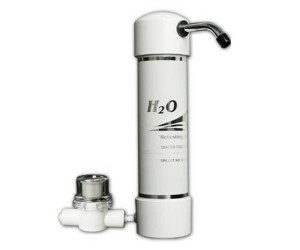 Residential water filters can deal with several undesirable water ingredients improving both the taste and appearance of tap water, thus, transforming it into a cheap and convenient source of drinking water. But which contaminants are most likely to be in your tap water, and how do you get rid of them? Filtered water is obtained by passing water through a filter bed, which is designed to remove or reduce certain types of water contaminants. 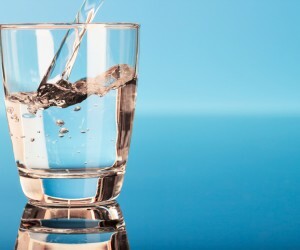 Contaminant-free water has many health benefits, but the benefits of filtered water are far-reaching and include many environmental benefits as well. Water filters use various filter media to target and remove as many contaminants as possible, without the use of chemicals and without altering the natural taste of water. The most commonly used filter media in water filters include coconut shell activated carbon, ceramic spheres or candles, and reverse osmosis membranes. Are Whole House Water Filter Systems Worth It? Whole House Water Filter System – Should You Get One? The benefits of filtered water go beyond the benefits associated with drinking it. Cooking, bathing, cleaning and washing are activities that can all benefit from filtered water. But drawing filtered water from a single tap for all your household activities can be difficult. This is where whole house water filter systems come in, which allow you to draw filtered water from any tap in your home. There is a common misconception that whole house water filters are much more expensive than their under-sink counterparts, and while a whole house water filter may indeed be more expensive than an under-sink water filter, it also does much more than a simple point-of-use filter. But are whole house water filters worth the hassle of installation? Or should you stick to a point of use filter? Regardless of the source, water contains some level of contamination whether it’s chemical disinfectants added to it, or naturally occurring ingredients like sediments or minerals. 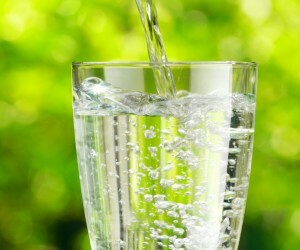 Ideally, most tap waters should undergo some level of filtration before consumption. With few exceptions – e.g. 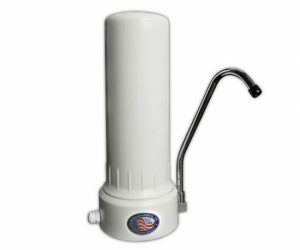 gravity water filters – countertop water filters are pressure-based filtration units designed for a quick and easy filtration. 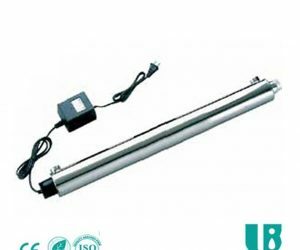 Their filtration efficiency ranges from simple taste and odour removal filters to filters that can tackle even more serious contamination issues like bacteria and heavy metals. The best countertop water filters are easy to install and maintain, and deliver great-tasting contaminant-free tap water every time you turn on the tap. Whole House vs Undersink Water Filter – Which Is Best? Should You Buy a Whole House Water Filter or an Undersink Water Filter? Whenever homeowners decide they want to buy a water filter system for their home they are faced with a big decision – to buy a whole house water filter or an undersink water filter? Although both whole house filtration systems and undersink water filters are used to filter tap water, there are significant differences between the two systems. 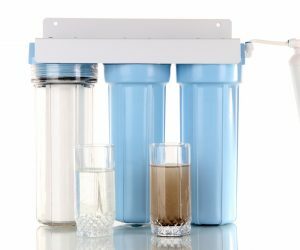 The most striking difference is in the purpose they serve: Whole house water filters are point-of-entry systems, which means that they filter water before it gets distributed to every faucet in your home, while undersink water filters are point-of-use filters, which filter water only at the faucet they are installed at. So, which of the two systems is a better investment for your home, and which one should you get? 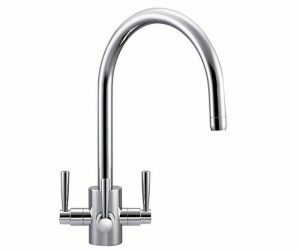 Are Franke Filterflow Kitchen Taps Worth It? Should You Buy a Franke Filterflow Kitchen Tap? In the landscape of 3-way kitchen taps, Franke Filterflow Taps fall into the high-end kitchen tap category. Compared to classic water filter taps that are installed next to regular kitchen taps and only dispense filtered water, 3-way kitchen taps replace your existing tap and allow you to draw cold, hot, and filtered cold water from a single tap. The overall increased functionality and convenience of 3-way kitchen taps account for their higher price tag compared to traditional, single-dispensing filter taps, but what accounts for the slightly higher price tag of Franke Filterflow Kitchen Taps compared to regular 3-way taps? 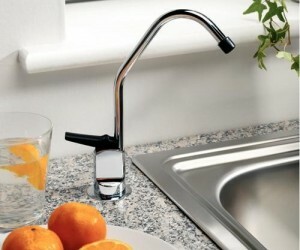 And are Franke FilterFlow Kitchen Taps worth the higher price tag? Installing a water filter in a caravan, motorhome or boat is quite the challenge. First, you have to think about water pressure, or the lack thereof. Next, you may need to consider whether there is enough room for a water filter, which depending on the size of your caravan, can be an issue. The best water filters for caravans and boats can help you overcome these challenges. There are water filters designed specifically for low pressure environments and cramped spaces, making it easy to get filtered water despite all these issues. One option would be to buy a gravity water filter, the other option would be to install an inline water filter. Both types of water filters are great for caravans, boats, motorhomes or vacation homes, but let’s see why you should consider getting one too. Plumbed-in water filter systems are not for everyone. Some people may need flexible water filtration systems that they can take with them even when they move out from a rental, while travelling or if moving a lot. Since the filtration industry has come up with solutions for virtually any filtration need, in this article we’re going to discuss the benefits of no-installation water filter systems versus plumbed-in system, with special focus on the best water filter systems for people on the go. Residential water filter systems are designed to target various contaminants that are likely to end up in municipal water. Based on how maintenance intensive a water filter system is, we distinguish high-maintenance and low-maintenance water filter systems. High-maintenance water filters need frequent filter cartridge changes usually every 3 to 6 months, while low-maintenance filters can last between 6 to 12 months, and even more. To help you take care of your water filter system, and get the best out of it, we recommend going through our tips and pointers for replacing cartridges, cleaning filters, and other tips regarding the maintenance of your water filter system. UV Water Filters – What are they, how do they work? 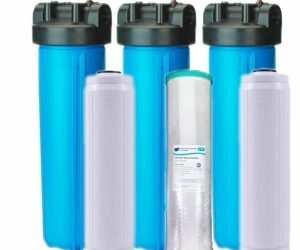 Ultraviolet water filters are recognised in the water filtration industry as one of the best alternatives to water chlorination. 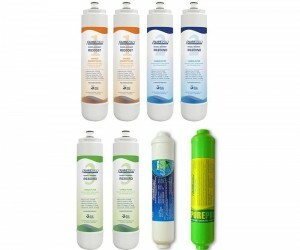 Whether you want to treat water sourced from a private well or you’re looking to sanitise municipal water, UV water filters can be an excellent choice for destroying 99.99% of waterborne pathogens. In this basic guide to UV water filters we discuss how UV water filters work, what are the parts of an UV water filter, and what are the pros and cons you should consider before buying one for your home. Why Does My Tap Water Taste or Smell Weird? What Causes Your Tap Water to Taste Weird? Most people will notice when their tap water acquires an off taste or smell. Usually, the cause behind the weird smell or taste is some sort of a contamination issue, an aspect that may sound the alarm in some people’s minds. While some contamination issues may indeed be dangerous like lead contamination issues or bacterial contamination issues, other contaminants may not pose an immediate danger to your health, but it may surprise your taste buds or nostrils, or put a frown on your face. Under normal circumstances, tap water will have a fresh, crisp taste. Because tap water is chlorinated to prevent disease outbreaks caused by pathogenic bacteria, most people will associate the taste of chlorinated water with freshness. Because weird tastes and odours in your tap water can be caused by many contaminants, here are the most common culprits that can make your tap water taste or smell weird.